After removing Ultimate General: Gettysburg from the App Store, has reinstated the game. On June 25, Apple started removing games featuring the Confederate flag, which was originally flown by the Army of Northern Virginia under General Robert E. Lee. The firm said it was removing apps which used the Confederate flag “in offensive or mean-spirited ways. It then stated it would not remove apps which used the flag for educational or historical uses. Unfortunately, historical game Ultimate General: Gettysburg was removed, although Apple hasn’t publically stated why it was considered offensive, it realized its mistake and but the game back up on the App Store. “After several late night phone calls with Apple yesterday and today the game has returned to AppStore the way it was… in 1863,” developer Game-Labs said in a blog post. Due to Apple removing the game, Steam countered by promoting the PC version of the title on the digital store front. Apple has removed all games that feature the Confederate flag from the App Store. Games that revolve around the American Civil War and feature the Confederate flag have been removed by Apple from the App Store. Touch Arcade reports that games like Ultimate General: Gettysburg and the Hunted Cow are no longer available for purchase through the store. “We have removed apps from the App Store that use the Confederate flag in offensive or mean-spirited ways, which is in violation of our guidelines,” Apple told the site in a statement. 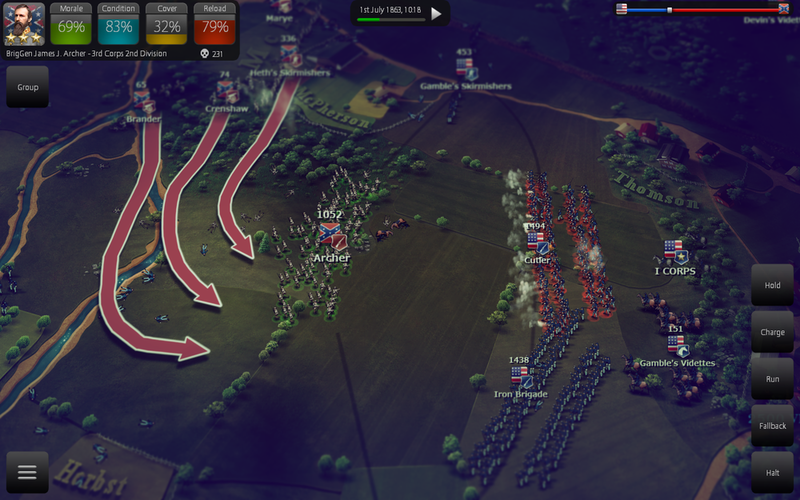 Ultimate General: Gettysburg developers at Game Labs said that the flag’s inclusion in their game is historically accurate, referencing the game’s depiction of that period’s battles. “The historical “Gettysburg” movie (1993) is still on iTunes. We believe that all historical art forms: books, movies, or games such as ours, help to learn and understand history, depicting events as they were,” says Game Labs’ Maxim Zasov. Other major retailers like Amazon and Walmart have too ceased all selling of merchandise featuring the Confederate flag. Apple’s response to the issue brings to memory its reaction to games with violent imagery, which resulted in the removal of number of screenshots for some games. This comes amid the current debate in US following the Charleston Church shooting, which revived nation-wide conversations about the Confederate flag and its place in modern America.